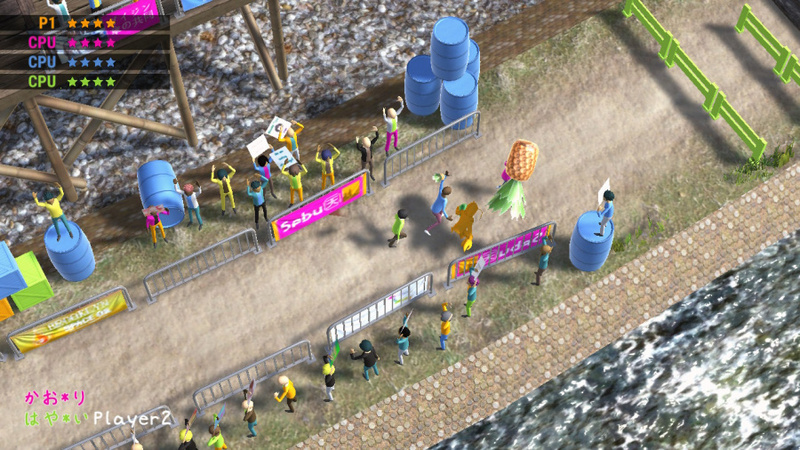 Developed by Onion Soup Interactive and published by PQube, Nippon marathon is a sort of marathon racing game that takes place in a semi-fictitious version of Japan where you and several other contenders race through lengthy courses filled with hazards such as watermelon canons, open sewage manholes, and pitfalls among other things as well as obstacle courses. 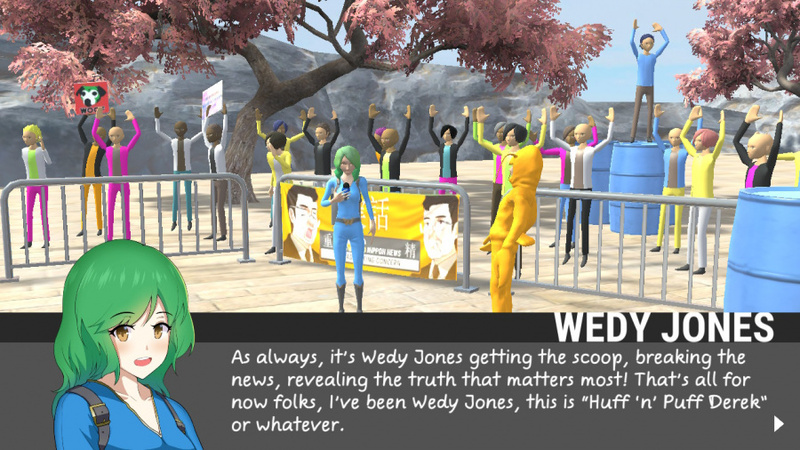 If this concept sounds fun you'll probably want to continue reading our review to find out what we think of the game! 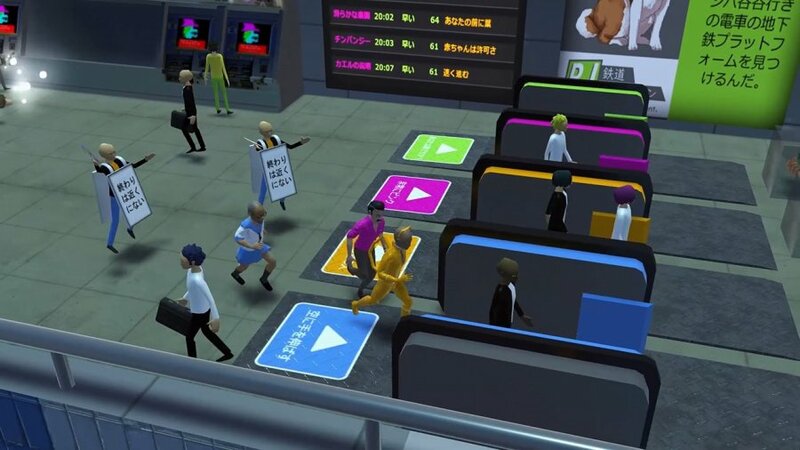 The gameplay in Nippon Marathon is reasonably enjoyable with a fun concept and refreshingly unique gameplay mechanics, you'd think it'd be a home-run, but some shortcomings really hold the game back. 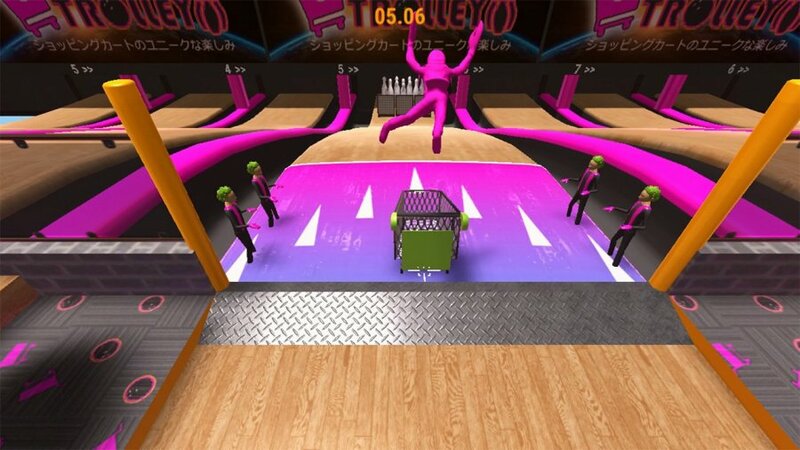 Firstly the positives are that Nippon Marathon has a large assortment of courses, fun hazards that aren't unfair in nature, and excellent multiplayer modes including four-player multiplayer races, a unique bowling style mini-game, and an obstacle course competition for up to eight players for crazy multiplayer fun! The negatives are the really unresponsive and hard to master controls which can be flat-out frustrating at times and the ridiculously dumb A.I. which is so easy to beat that it essentially makes the single player story absolutely pointless and boring. This of course seriously hurts the game's overall score. The audio-visual presentation of Nippon Marathon is meh, it certainly gets the job down and isn't terrible, but overall is quite forgettable. The graphics are 3D, look passable, while the music is there and doesn't sound bad, it's just kind of there which isn't good for the game if the audio-visual presentation feels this bland. Overall this hurts the overall score of the game. Bottom-Line: With unique and often enjoyable gameplay, at least in multiplayer and a decent amount of content, Nippon Marathon could have been absolutely amazing, however atrocious controls, a lacklustre single player story mode, and a forgettable audio-visual presentation really hold the game back. We give Nippon Marathon for the PS4 a decent level of recommendation. As always thank you kindly for all of your comments!